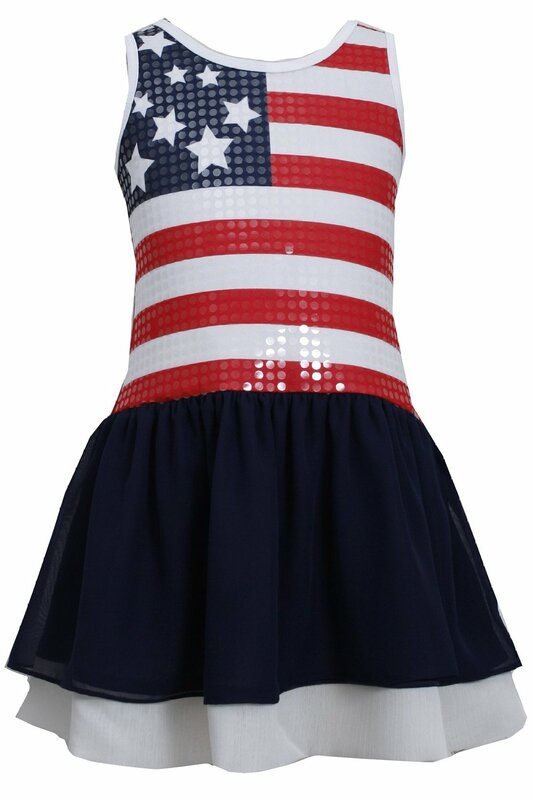 Beautiful little girl red-white-blue Americana Patriotic dress with sequin American flag bodice and knit skirt. Machine wash. Imported.